Don't worry if you’re feeling a little anxious today - this is a simple breathing technique to help calm your nervous system down and soothe your mind. 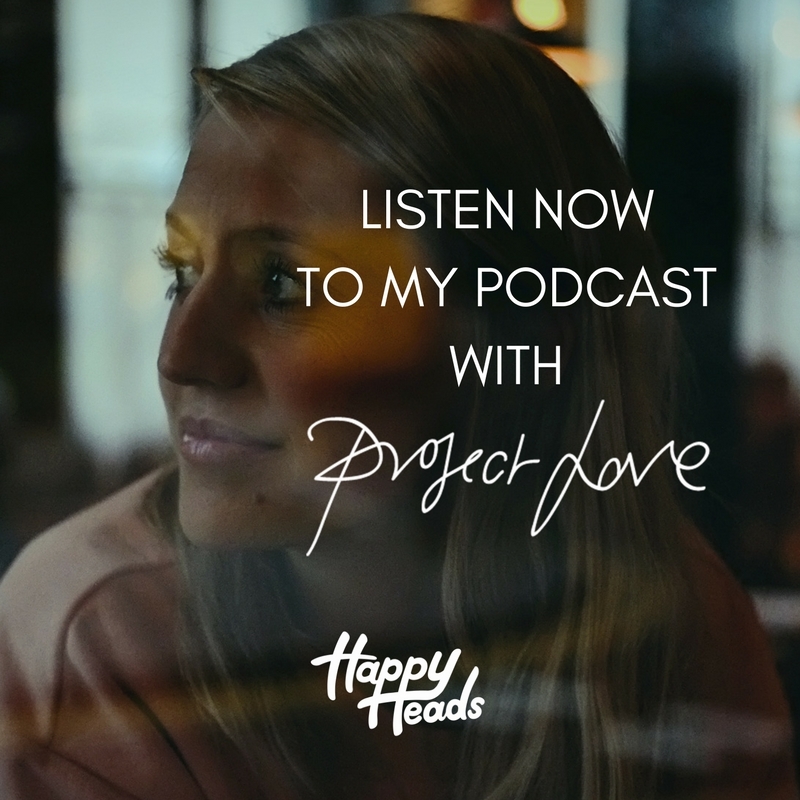 I am SUPER excited to announce that myself & Wild Thing Yoga are partnering with the wonderful Happiness Planner to launch a collaborative series in London on personal growth. We launch our 5 part monthly events with Benk & Bo on Sunday 17th June. 10am-3pm. The day will start with fresh juice & teas, then a meditation & EFT workshop in the glorious plant filled event space followed by an explorative hours flow. A colourful brunch will be created by our pals Oat Kitchen followed by an inspirational workshop on personal growth with Mo Seetubtim, the founder of The Happiness Planner and author of the inspirational blog Brand Mentalist. We only have 25 tickets for the first event & they can be found HERE. Not only has spring sprung but it's also Mental Health Awareness month. Stress relates to 40% of all work related illness. If you are a business then this is the perfect time to give something back to your employees and help them improve both their mental and physical wellbeing. Happy Heads teaches busy people how to stop, think and breathe - empowering you and your team with simple mindful tools and techniques that build confidence, reduce anxiety and increase focus at work and in everyday life. A less stressed workforce means a more productive and happy workplace. For a workshop information deck please get in touch kim@happyheads.me . 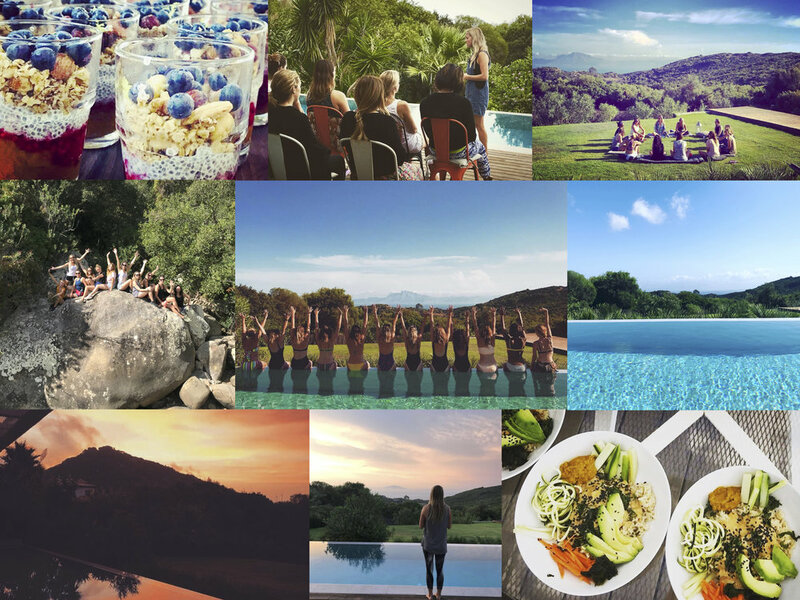 Myself & @wildthingyoga1 are taking our yoga mats & jumping on a plane to the sunny hills of Tarifa overlooking Africa in Spain to host a 4 day retreat at the beautiful @casa_daliaretreat eco house this September (27-30) wanna come with us? Our days will be full with yoga, meditation, workshops, all the colours of the rainbow in the locally sourced food, paddle boarding, swimming, relaxing & all the sunshine you can bask in! February is the perfect time to re-connect with yourself. Join Happy & Wild as you're guided through a grounding, self-care meditation workshop, followed by a playful and explorative Vinyasa flow, nurturing both your mental and physical health. Once your work on the mat is done, bowls of nourishing plant-based goodness from Raw Press' vegan chefs will await you, along with signature juices, tea and milk lattes. The perfect way to unwind, alone or with friends. Tickets include a meditation session, a yoga class, brunch and a goodie bag. Join myself and @wildthingyoga1 on 17th, Feb 10am - 4pm as we open the next chapter of our Happy & Wild urban day retreats @kreativhouse_ for the perfect time to reset your body and mind. Following on from Valentine's Day, whether you love it or hate it - come and empower your mind, move your bones, nourish your body and nurture the most important relationship - YOU! The day will include a meditation workshop, heart opening vinyasa flow yoga, delicious food from @canababes, followed by a self-love workshop (Emotional Freedom Technique) also known as tapping. We finish the day with more guided meditation and deeply relaxing yoga nidra to ensure each contented soul leaves filled with happiness and love. Happy Heads and Wild Thing Yoga have joined together again to create a magical and inspiring retreat experience for you. Extending on our London day retreats, we’re creating 4 days of wellness in the stunning Shropshire countryside as we head to the hills in January to set intentions for the year ahead with the first of many ‘Happy & Wild’ retreats. Taking place on Thursday 18th to Sunday 21st January in and around an ancient farmstead just outside of Ludlow in Shropshire, Happy & Wild invite you to join them in a refreshing journey of exploration for both the body and mind. The retreat will provide you with the tools to nurture and re-invigorate your mental and physical fitness to begin the year in the very best way you can. The schedule is full to the brim with guided meditations, vinyasa flow/restorative/hatha & yin yoga, EFT (Emotional Freedom Technique), empowering workshops, healthy and hearty vegetarian Ayurvedic food, hikes in the stunning Shropshire hills, lots of time for rest and rejuvenation and much much more. This retreat has been specifically designed for you to re-claim your inner power, giving you the chance to press the reset button - setting you on the right path for the year ahead. HUGE thank-you again to all the beautiful souls that came to our Autmn Grounding Urban Day Retreat. The whole day was incredible and with feedback like this - we'll be doing more and more! “Thank you for yesterday. You guys are amazing! I still can’t believe how physically rewarding and emotionally connecting the day was. January has never looked more beautiful!! After the huge success of our last retreat, myself and Deanne Oliver-Pickard are proud to announce the Autumn Grounding Urban Day Retreat at the stunning Reva Studios just off Broadway Market. During the retreat we’d like to stop for a moment - take some time and reflect on the past couple of months; to digest our feelings, thoughts, emotions and re-connect with our body and mind, to repair and prepare for the change in season. Join us for a day of guided meditation, yoga, healthy food and a self love (Emotional Freedom Technique also known as Tapping) workshop. "Thank you so much for all your energy and enthusiasm it was a truly magical day....i literally floated through my week! Can't wait for the next one! Lots of love to you both"
"WOW thank you for such an incredible day. A much needed break from Mum-life and regain some time for me…. I’ve woken up positive and really set to make meditation part of my every day. THANK YOU! And the food was amazing… Delish…!!!" "I have a young sleep thief and was in great need of some me time. I had never been to a retreat before. I went with an open mind and a love of yoga. I returned with greater love, respect and understanding of myself. I am in Awe of Kim and Deanne and the wonderful work they do. Truly magical. Thank you both. X"
Summer has well & truly begun and now more than ever it's time to give yourself some love by looking after your body and mind to balance some of that mid summer madness! Self love has never been more important in this hectic world we live in. As busy people it's too often that we leave loving ourselves at the bottom of our priority list….so it's time to reclaim the love with Happy Heads and Wild Thing Yoga in our Summer of Love Urban Day Retreat. Take time out to join us for the day where we’ll be teaching you the best ways to look after both your body and your mind. You’ll start the morning with fresh juices, a guided meditation and breathing techniques followed by a beautiful breath synchronized heart opening vinyasa flow. We have a health conscious yet hearty vegan Ayurvedic lunch to make sure you’re being filled with goodness throughout the day. After lunch we’ll have a workshop on self love and Emotional Freedom Technique (also known as tapping) teaching you invaluable tools and techniques for how to re-connect with your true self. Finishing the day with a restorative yoga flow and deeply relaxing yoga nidra followed by meditation to ensure each contented soul will leave filled with happiness and love. A special goody bag filled with delightful treats will be provided for everyone.